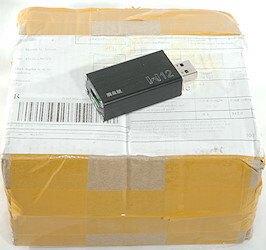 The charger arrive in a cardboard box, that was more than big enough for this device. 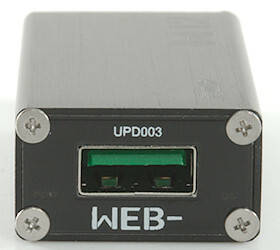 There is a led on each side of the USB connector on the end marked “WEB-” at the top. 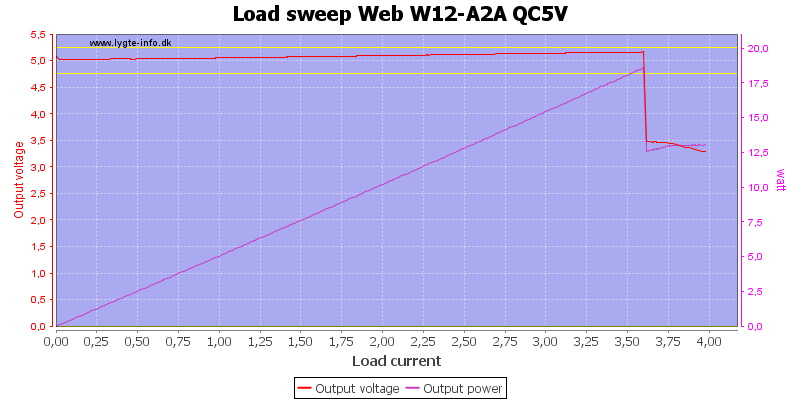 Use 12V input voltage, can be from a QC charger. 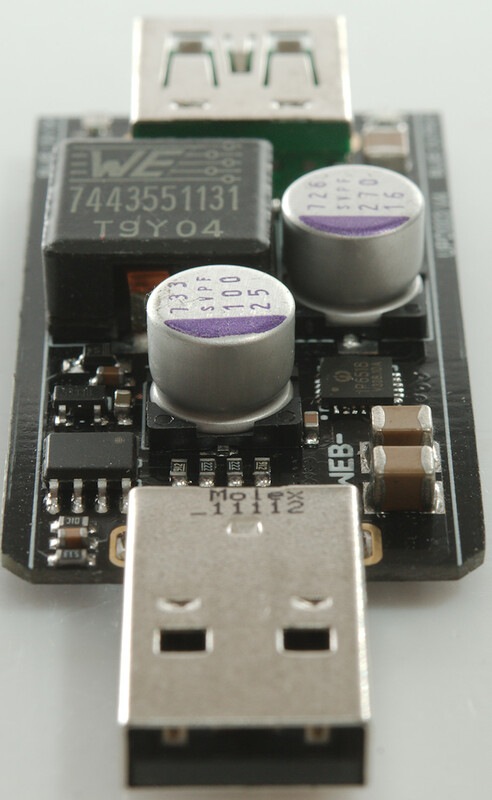 This charger can deliver slightly above 20W before the output voltage drops at 12V. 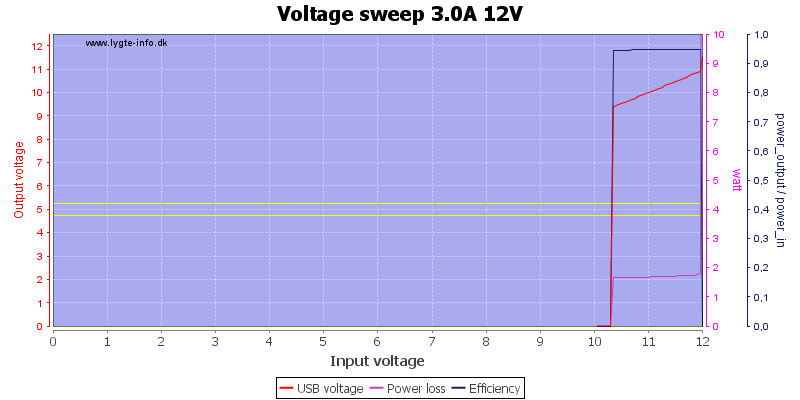 Comparing these curves to the ones below shows that the QC charger limits the power, not this device. 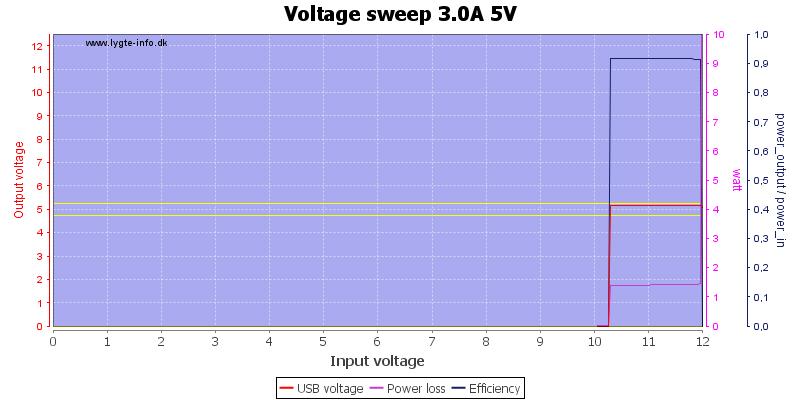 At 5V the output is limited to about 3.6A and there is some cable compensation. Efficiency is above 90% most of the time. 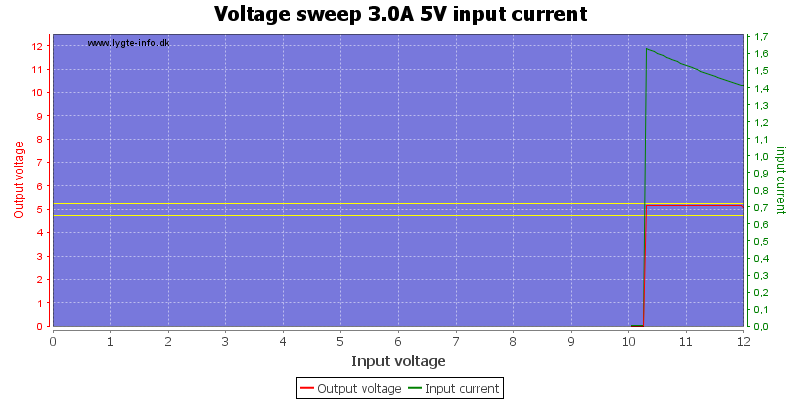 The output current goes up to 5A before the voltage drops. 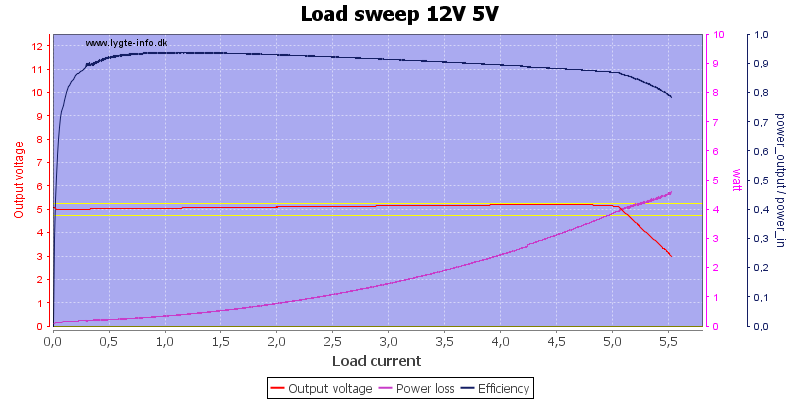 At 9V the maximum current is about 4.5A and there is also cable compensation here and even better efficiency. 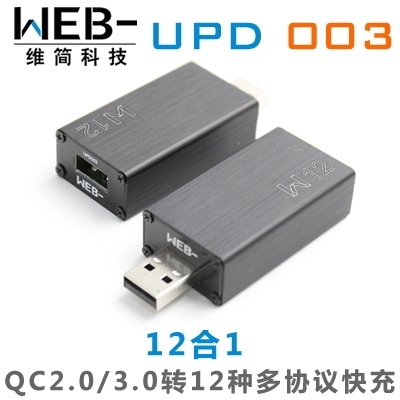 At 12V the current is limited to 4.5A and the cable compensation do not work, due to the limited input voltage. 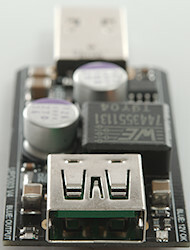 The device shuts down slightly above 10V input. When 12V output is selected it will drop some before the device shuts down. The input current is fairly constant until the device shuts down. There was no problem running 1 hour with 3A load at 12V. 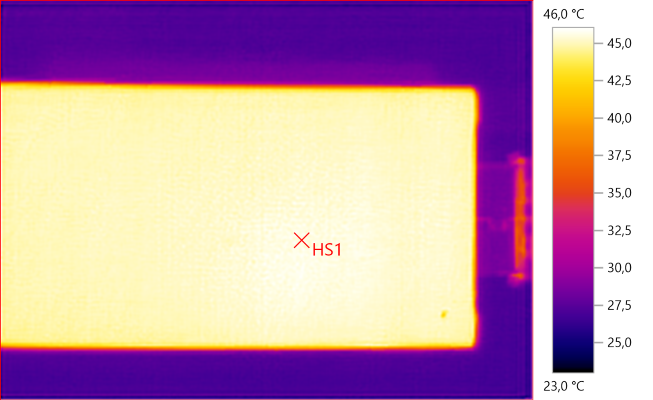 The temperature photos below are taken between 30 minutes and 60 minutes into the one hour test. Being a aluminium enclosure the outside has nearly constant temperature all around. At 0.5A the noise is 7mV rms and 100mVpp. At 1A the noise is 4mV rms and 98mVpp. At 2.5A the noise is 9mV rms and 92mVpp. 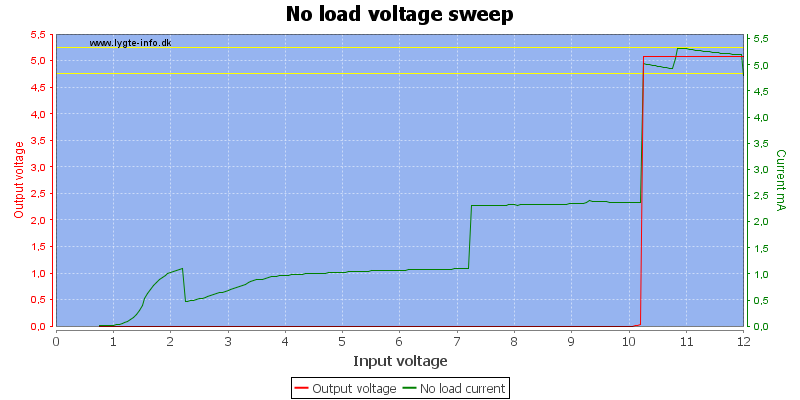 At 0.5A the noise is 11mV rms and 78mVpp. 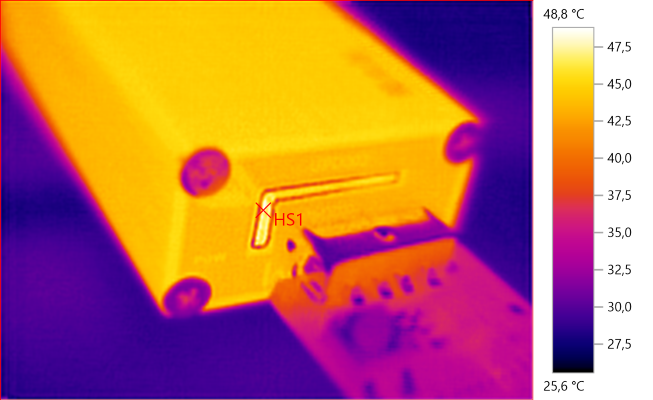 At 0.5A the noise is 3mV rms and 103mVpp, all very low noise values. Four small screws at each end and the box was open. 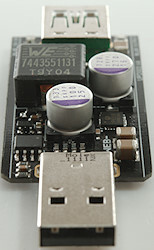 The circuit board has more specifications than I have seen elsewhere, but this side do not have any parts. 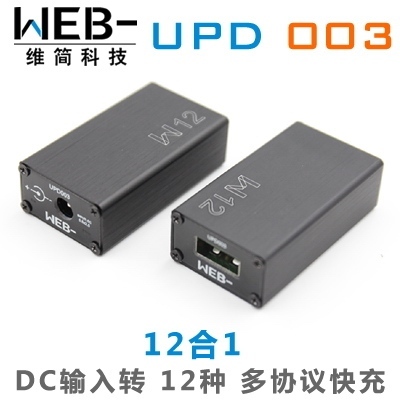 All electronic is here, the main chip is a USB PD controller (IP6518) it supports: DCP/QC2.0/QC3.0/PE+1.1/PE2.0/FCP/AFC/SFCP/SCP/USB PD and is also the switching regulator. The PD function is obvious not used here. There is also a 3 pin voltage regulator (5333B) and a unknown chip, probably a microprocessor to handle QC on the input. At the output is two leds, one of them dual color. 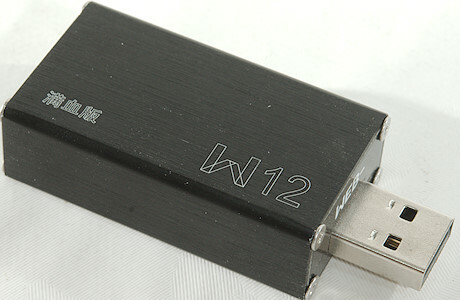 This device can secure that any Quick Charger will support just about any fast charge protocol. I do not know how useful this is, normally I would prefer to get a charger with native support for the fast charge protocol that is needed. 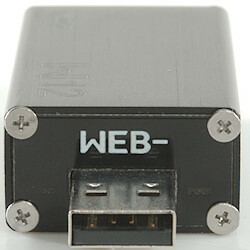 It can also be used after a 12V power supply to provide USB power, again with all charge protocols supported. 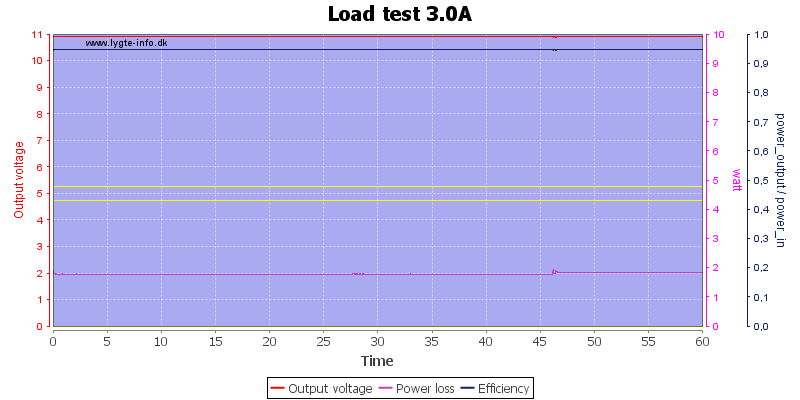 The device works fine and with good efficiency, but the current limit is rather high. Thanks for this test and maing me aware of this product! It’s great! I have been looking for a MTK Pump Express charger. 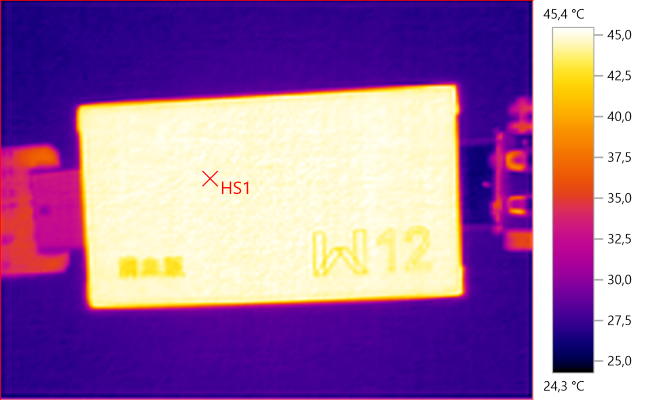 Interesting device, could be used to interface a Qualcomm QC3.0 supply to a OnePlus/Oppo device. 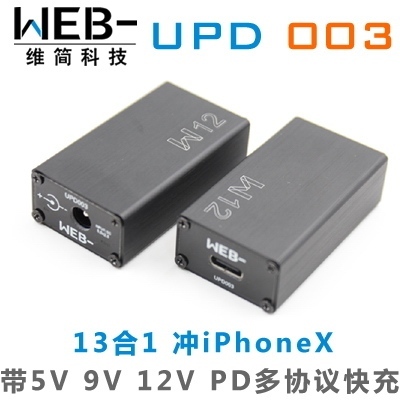 Couldn't find it in AliExpress right now, is it affordable? 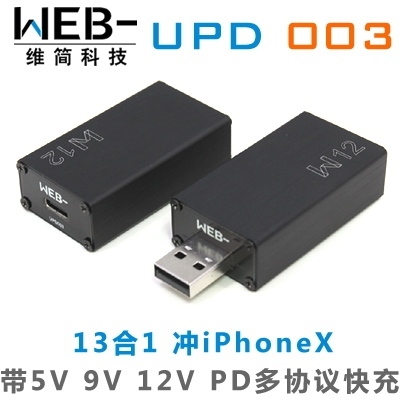 Couldn’t find it in AliExpress right now, is it affordable? I have it and it is fast charging my OnePlus 5 and Huawei P10. It costs around 10-15€. I get it from taobao. Which is of some help, but still is an amazing mess. The seller needs some help to put some understandable model numbers and occidental language in the pictures and the product description. I have it and it is fast charging my OnePlus 5 and Huawei P10. It costs around 10-15€. I get it from taobao. I do not particularly need such a device, a friend of mine maybe. The circuitry is interesting, efficient and high output quality. My guess is that all the circuits uses the same converter chip, i.e. the difference is only the input and output connectors. 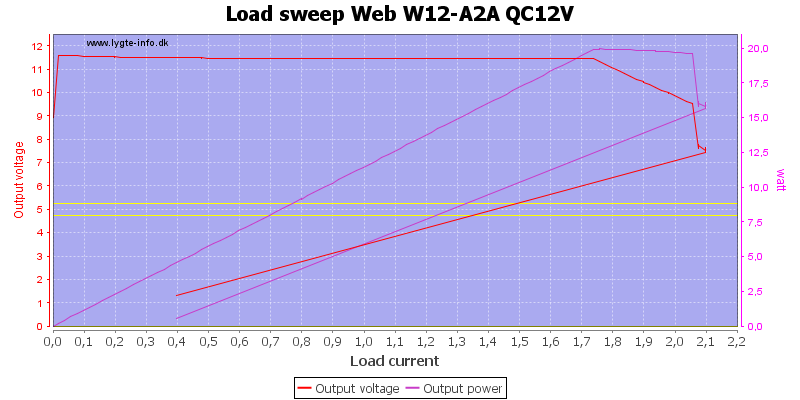 The first one (W20) has a slightly different configuration with higher output voltage and lower current. I don't think this is by YZXStudio, but by WITRN/WEB. WEB recently changed their name to WITRN. It is not, but they are very similar. I also have a review of the YZXStudio on the way. It has been on AE on in summer 2018. Thanks for another excellent review. appreciate it.